Yey, I'm finally back again to blogging. Have been busy for a while with things in life, and one of those things are looking for a soul mate. Not soul mate for myself! its for my best friend. She's been in desperate situation since back from Indonesia... from her disorder marriage. 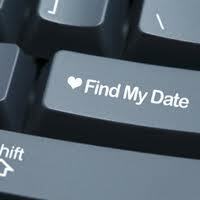 To relieve her stress, she finds another way to make herself better...is by finding a soul mate through dating website. One day a guy, an American guy who fess as army and had two kids sent her a message. He had a good profile with some photos with army dress; he also described himself very well, and that caught my friend's attention to replied his message. After few times sending message, they decided to continue in Yahoo messenger. His words was very affecting my friend's feeling -- she took it seriously. Luckily, my friend who is in her 41 this year, did not trust him straight away. She asked him to show himself with webcam...which he never gave. The dating online with the guy persist until one night I asked her to give me his email address to check who he really was. I was actually suspicious with this guy, as he seems too sweet to be true. I didn't say that there is no sweet guy exist in this world -- my suspicion is based his avoidance of getting on cam and also his love making to my friend. And finally, my suspicions have become real! The person has used that profile to scam people! She contacted him as soon as I told her about who he really was. As you can guess, he didn't fess it. However, my friend still try her luck looking for her soul mate through online dating website. And guess what? That profile army guy appears again - but this time he pretends that he is in different location!